"Hilary Scott's "And Just" is a masterpiece of a song with music and a message that breaks genres." And Just, Hilary Scott’s single recorded in Rome, Italy with producer Euro Ferrari, was the winning song in the international section of the Festival Degli Autori, a songwriting and performance competition hosted in Sanremo, Italy by Sanremo Productions. 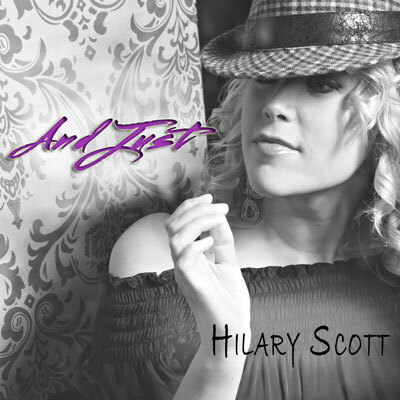 For her win, Hilary Scott received a record deal for a 5 song EP through Sanremo Productions and aims to complete the album with Euro Ferrari later this year. Heath Andrews of ReviewYou rates “And Just” 5 stars out of 5, and says this: “There are a lot of musical forces at work within Hilary Scott’s song, “And Just.” Scott’s vocals have a country edge to them with a leaning towards folk rock as well, while the percussion track has an electronica sound and the rest of the arrangement takes heavily from modern pop/rock. Amongst all the sound is a lyric that floats along both in its sound and subject matter. In short, “And Just” is an accessible yet deep song with strong cross-genre appeal.